The Windows 10 Insider Preview build 16299 has now been announced by the Microsoft team and is rolling out to the slow ring. The build 16299 is the update that represents the Fall Creators Update and is the same one that was recently made available to those who are signed up to the fast ring. 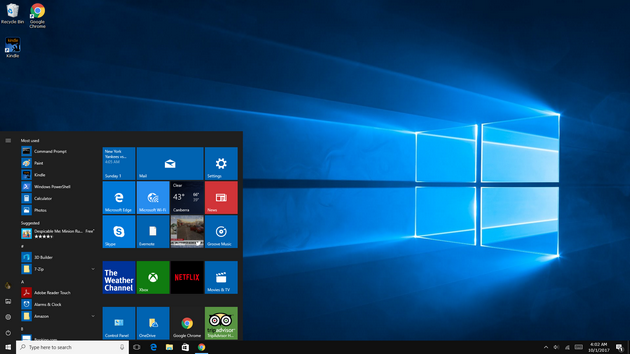 Due to Microsoft being very close to having the Fall Creators Update ready to officially roll out to the world as standard software updates and away from the Windows Insider program, they are now beginning to release these updates quicker than they usually would. Also due to the Falls Creators Update being near, you can expect these latest builds to be pretty good and not require much of your attention, hence why these updates are now arriving to the slow ring. Microsoft has fixed the problem some people were facing with their computers optical drive wouldn’t be listed under “This PC” in File Explorer when they were upgrading to recent flights. Microsoft has Microsoft Edge from crashing when people were scrolling embedded PDF files. Microsoft has fixed the 0x80070005 digits some Windows Insiders were seeing when upgrading to the last few flights. Microsoft has fixed the issue for UWP apps when Automatic File Download notifications were used to block apps from downloading files. Microsoft has fixed Windows Defender downloading files selected as “online-only” from the file picker dialog box and viewing the thumbnails.